Tuesday, April 8, 2014 Posted by Stefanie B. Especially gratifying for both their singular look and cost saving measures, DIY fire pits appeal to many homeowners and commercial real estate managers. DIY installation allows our customers to design and build a unique product that's ideal for their particular environment, setting them apart from the rest of the pack. 1. Always check with your local fire department or building inspector before starting your project. As previously mentioned, laws will vary depending on your location - they can even be conditional to the season. You may need to apply for a permit. If you live in a condo or apartment building, check with your homeowners association or landlord to find out if specific rules exist for building an outdoor fire feature. Additionally, Woodland Direct recommends that you hire an NFI-certified gas specialist to run the gas pipe and install the burner. 2. Location, location, LOCATION!!! When deciding to take a DIY approach for your outdoor wood or gas fire pit, location will be one of the most important things to consider. First, make sure to build your fire pit on solid, level ground. There should be no threat of tipping or leaning. You also need to be mindful of the foundation that you choose. Unless specifically stated by the manufacturer, you should never place your fire pit on a combustible surface. 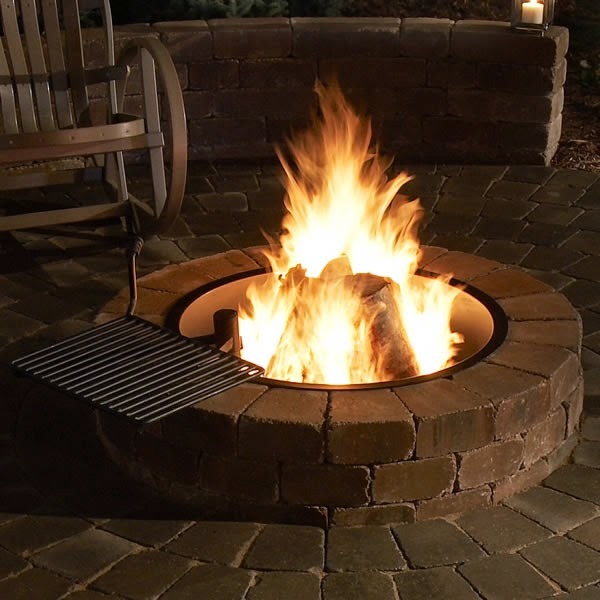 Select a place where you can build your DIY fire pit on concrete, dirt, or gravel. After you have a place in mind, calculate the distance between your fire pit and combustible materials like overhanging branches, shrubs, and leaves, as well as the sides of building structures. Check with the manufacturer for the required clearance to combustibles that you must maintain around the unit – typically, it’s about 4’. 3. When deciding upon materials for your DIY fire pit, confirm that they are protected from intense heat. 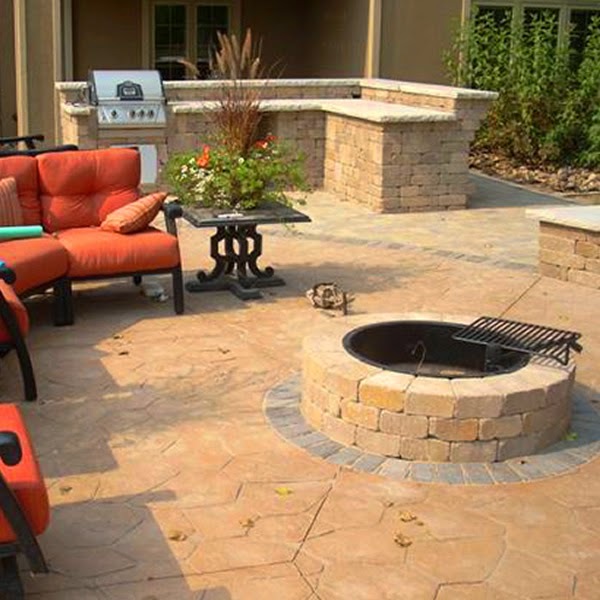 For example, you can start with a hardiebacker fire pit form and outfit it with brick, stone, clay, or concrete. If you're choosing to use stones as decoration around the perimeter of your fire pit, never use stones that have been drenched in water, as they can rupture with the heat of the fire. If you’re building a granite topped gas fire pit or fire pit table, you’ll have other concerns. Most importantly, keep in mind that the granite can crack if the heat is too intense. We do not recommend using granite on gas fire pits, but if you desire this look, make sure that the burner size does not come up to the perimeter of the fire pit. You can help prevent cracking by installing a shield on the exposed edge of the granite to offset transferable heat. Constructing the firebox will also take special consideration. It must be large enough to hold several average sized logs, usually ranging about 18" each. These logs should never hang over the side of your firebox, because doing so would cause a distinct safety risk. Also, keep in mind that the powerful heat can break some materials down faster than others. 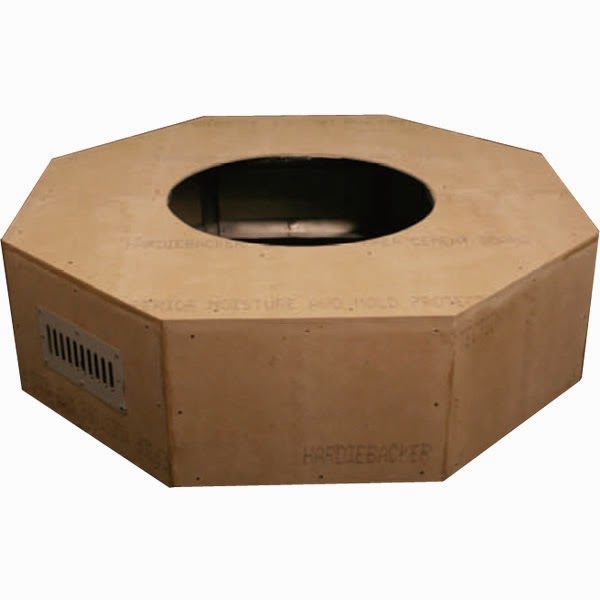 If you're constructing your own firebox, choose a thicker sheet metal to withstand the high temperatures. 4. Always plan any project with the end result in mind. If you're building a seating area to surround your new fire pit, make sure that tables, chairs, and benches will be positioned at least 4’ away from the open flame. By keeping this distance in mind, you'll prevent your guests from becoming overheated and will better protect them from flying sparks, flames, and potential burns. Woodland Direct sells dome-style screens that work well to protect against these dangers. If you’re building a gas fire pit, screens aren’t usually needed unless your local government requires it. Refer to your city codes and regulations if you’re unsure of these requirements. 5. When you're finally able to use your new DIY fire pit, pay attention to the weather conditions outside. Extreme caution should be used in times of drought and dryness, as well as days with high winds. Fires are easy to spread in those conditions. Similarly, always keep your fires at a reasonable size. Ideally, the flames should be kept away from the walls of the fire pit to prevent charring. By keeping your fires small, you shouldn't have to worry about excess smoke. Do you have more questions for us? Contact a member of our NFI-certified sales team at 800.919.1904. We'd love to hear what you think in the comments.